Funding for school sport has been slashed by the UK's Coalition Government, with grassroots and elite sport also taking significant hits. Sport England, the body responsible for community sport, sees its funding cut by 33% over four years, while UK Sport (elite athletes) faces a 28% reduction. But most of these cuts will be offset by more cash from the National Lottery. This is not the case, however, for the projects run by the Youth Sport Trust with Department for Education money. Public funding for the 450 School Sport Partnerships currently running in England has been completely withdrawn by the Department for Eduaction, a decision the YST has described as "devastating". "It's a black day for us but we'll get over it and carry on," YST chief executive Steve Grainger told BBC Sport. "But what upsets us is what this means for the seven millions kids we've started to help - they deserve better, frankly. "The most shocking aspect of this is that we were just starting to get somewhere. We were expecting cuts but to lose all our funding [£160m a year] is staggering. "Some of the partnerships will continue because that particular area will be able to fill the funding gap. But there will be lots of areas that cannot do that and that's where the need is greatest." Serious support from government in recent years has transformed the provision of sport in schools, with the number of youngsters playing at least two hours of sport at school increasing from almost two million in 2004 to more than six and a half million in 2010. The YST, a charity based in Loughborough, has been at the heart of this effort, growing from a staff of four in 1995 (when government investment in school sport was practically zero) to 140 now. But the real investment has been in sponsored positions that make up a network covering every state school in England: 3,000 school sport managers, 450 development managers, 225 competition managers and 370 coordinators in further education establishments. 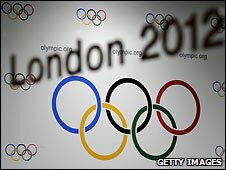 "With just 21 months to go until the start of London 2012, Lord Coe's pledge to use the Games to transform sporting opportunities for young people is now hanging in the balance," Grainger added. It is a sentiment some will share in community and elite sport. Sport England described its 33% cut in funding as "significant" and "tough", voicing particular concerns about the 40% reduction in capital funding - cash for bricks-and-mortar projects. But the impact of these cuts from the public purse will be mollified by increased contributions from the National Lottery, now restored to its original purpose of raising money for just four sectors: the arts, charities, heritage and sport. The move from state to lottery funding will not be smooth - government laws prevent the outright substitution of one for the other - but projected lottery revenues should see total investment in community sport remain fairly flat. In the last financial year, Sport England dished out £134m of exchequer money and £128m of lottery cash to the 46 national governing bodies it supports with "Whole Sport Plan" grants. That exchequer/lottery split will evolve to £86m and £198m by 2014/15 - a £22m increase, not allowing for inflation. Whether that will be enough to help the Coalition Government achieve the legacy targets it inherited from Labour for increased participation in sport post-London 2012 is debatable. But Sports Minister Hugh Robertson was in no doubt about where the blame should lie for that. "This hasn't been an easy process but it's the best possible result for sport under the circumstances," he insisted. "Let's be clear, the country's deficit is so large the daily interest payments are the same as Sport England's annual budget." The situation at Sport England is broadly replicated at UK Sport, although the fall-away in exchequer funding is negligible until after London 2012, when the current four-year Olympic cycle ends. The real change occurs in the first year of the "Rio cycle" when the Department of Culture, Media and Sport's contribution to Team GB's preparations plummets from £65m to £39m. UK Sport is confident this deficit will be filled by lottery money and commercial sponsorship. In line with most other agencies sponsored by DCMS, both Sport England and UK Sport have also pledged to cut their administrative costs by 50%, or £8.5m, by March 2015. This is before the two are expected to make further savings, by moving under one roof and effectively merging their back-office operations. Liz Nicholl, UK Sport's chief executive, matched her Sport England counterpart Jennie Price by giving a cautious response to the announcements. Clearly both feared worse. "This settlement represents a positive outcome in difficult times," Nicholl said. "Ministers have been clear throughout the process that they see the continued support of sports and athletes through to London 2012 as a priority and this reduction will not have any significant impact on our goals." One significant sports area that largely avoided Wednesday's axe was London 2012 itself. Having already delivered over £700m in efficiency savings, including £27m as recently as May, London 2012's overall budget of £9.3bn remains intact, with the only new cut being a further £20m in savings. A large chunk of that will be delivered by the decision to do without the hi-tech, decorative "wrap" which was supposed to cover the outside of the Olympic Stadium. Hardly a significant loss when compared to the drastic measures imposed on school sport.